Frankening... have you tried it? It's a matter of mixing polishes to see what you can create. I came up with one that I positively love and one that I am just okay with. I took some empty polish bottles (I don't buy bottles, I just use ones I already have.) and started pouring different colors into it. With my first one, I used blue and red polish, and then added some holographic sparkle. I liked it but I wanted it a little darker. So I added a couple more drops of a darker blue, and then a little more red. I could never recreate it, as I didn't keep up with what I was adding. 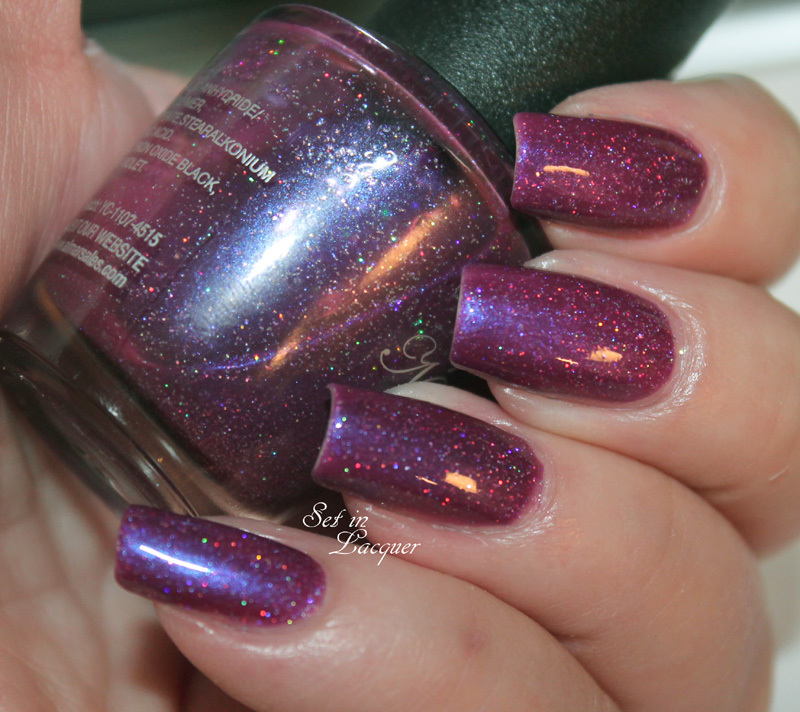 It has a gorgeous scattered holographic shimmer. Let's take a look at the sparkly purple one. It even has a blue shimmer to it! Now let's take a look at another one. I mixed blue, green, yellow nail polish and then I added both silver and gold holographic particles. I like it. But I don't love it. It just seems sort of blah. But then again, I am not a huge green polish fan. Some of them I love though. Have you ever Frankened polish? Are you going to try? You really should! It's fun and it's a great way to use some of those polishes that you are just sort of "meh" over. If you franken, I would love to see your creations! Share on my Facebook wall!